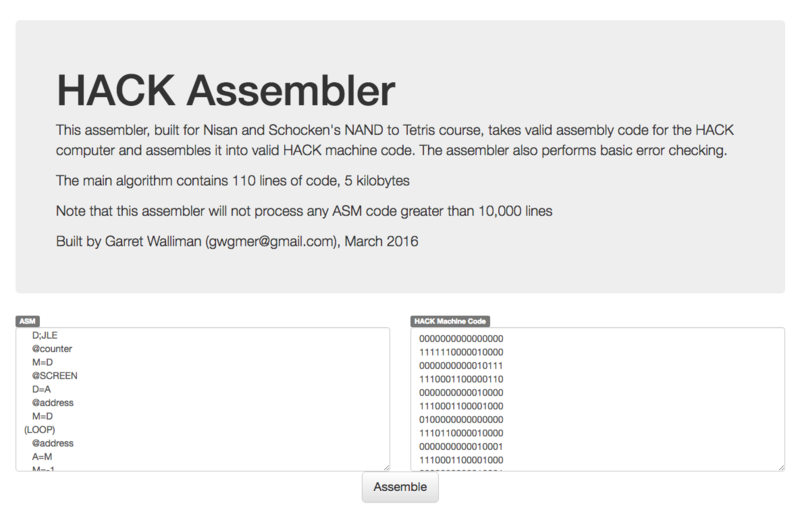 This assembler was built for Nisan and Schocken's NAND to Tetris (Building a Modern Computer from First Principles) course. This course involves building a simple Turing-complete computer and all its components, starting at the NAND gate, and then building software for the computer. This assembler is built as part of the course, and is used to assemble the "HACK" computer's assembly language into machine language. The assembly language specifications can be found here.